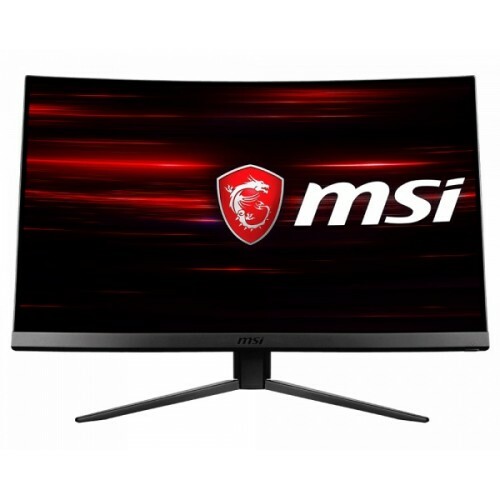 MSI Optix MAG241C Curved Gaming display (1500R) – The best gameplay immersion .Game titles will even look better, displaying more details due to the FHD resolution .144Hz Refresh Rate – Real smooth gaming. 1ms response time -eliminate screen tearing and choppy frame rates.Gaming OSD App - Create the ultimate viewing settings for your game.True colors – DCI-P3 90% & sRGB 115%. AMD FreeSync – prevent screen tearing.Anti-Flicker and Less Blue Light – game even longer and prevent eye strain and fatique. Frameless design – Ultimate gameplay experience. 178° wide view angle.